Here’s a great deal for your little one! 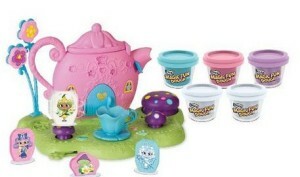 The Highly Rated RoseArt Magic Fun Dough, Fairy Tea Party is priced at only $9.96 on Amazon (reg. $19.99)! And, Super Saver Shipping will be FREE when your order is $35 or more. 50 Magic Transfers that’ll transform your dough into full color art!